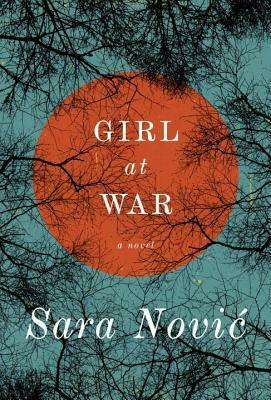 This book begins with a girl character at the dawn of the Croatian War for Independence, sometime in the early 90’s. Ana goes to school and spends the days with her friends as air strikes in her village become more frequent and news of impending destruction take over her parents’ fears. Eventually her sister’s illness forces the family to seek help beyond their country’s borders, and what follows after this is one of the most horrifying experiences that I’ve ever read about. In the tragedy’s aftermath, Ana leaves the country and finds her way to America. The rest of this book was a bit of puzzle for me. As an adult, Ana’s tone is mostly cold and disengaged. While I can understand that the character’s detachment is an element of the story (as well as an effect of her war experiences), I just couldn’t embrace it. The writing is excellent, and I certainly learned more about Croatia than I knew in the past, but I came away from the book just feeling…I don’t know…empty. Like I was looking at a grand, beautiful picture, but not really a part of the emotions in which it was created in.